So, how can they help your workout? As a general rule, the darker the fruit, the more antioxidants it has – and they don’t come much darker than blueberries. 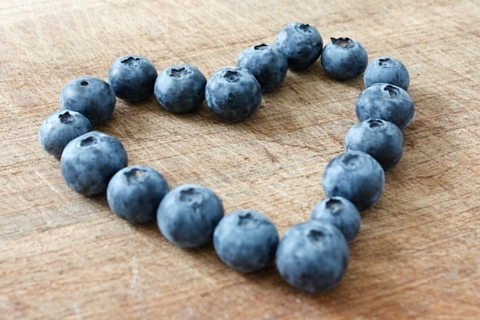 Blueberries are packed full of antioxidants – vital molecules that fight free radicals and promote cell growth. Plus, just one cup of blueberries contains 4 grams of fibre, 24% of your RDA of Vitamin C, 36% of Vitamin K, and 25% of Manganese. The benefits of Vitamin C and fibre are well known, but these other nutrients are highly important, especially for anyone who works out regularly. Vitamin K is known to prevent blood clotting and strengthen bones, while Manganese is known for its ability to control blood sugar and protect skin. Like Vitamin K, it also strengthens bones, making it a vital nutrient for anyone who lifts weights. Furthermore, the presence of an enzyme called nitric oxide synthase has been linked with a reduction in blood pressure and better heart health. In a test of female athletes, blueberries were shown to help reduce inflammation and oxidative stress in muscles, accelerating muscle recovery after intensive exercise. And if that isn’t enough to convince you that you need to add more blueberries to your diet, recent research from the University of Cincinnati even suggests that a pint of blueberry juice per day can help ward off memory loss. This is due to the presence of anthocyanins, which stimulate the flow of blood and oxygen to the brain. What’s more, the calorie and carbohydrate content of blueberries is practically negligible, making blueberries gram-for-gram one of the healthiest foods around. So how do you get more blueberries into your diet? The good news is; blueberries are not hard to find. They are native to North America but grow all across Europe with minimal cultivation. You could even grow them yourself if you have a little bit of outdoor space and a deep plant pot. Blueberries are so easy to grow that they tend to be available all year round, fresh, frozen or dried. You will probably get the most bang for your buck by bulk-buying them from farmer’s markets between June and September (when they are in season), or buying big bags of frozen berries from your nearest supermarket. Unlike most other superfoods, blueberries require no preparation, just give them a rinse and you’re good to go. Freeze them, bake them, juice them or blend them – blueberries are probably the most versatile fruit on the planet, so get eating! Here are four recipe suggestions to get you started. It’s easier than you think to make your own pancakes, and making tem healthy requires just a couple of tweaks. Substitute plain flour for whole wheat or powdered oats, and add a huge helping of blueberries to the batter (plus more for decoration). Voila – a low-carb, high fibre and vitamin-enriched breakfast! A great low-calorie snack that will satisfy between-meals cravings. They take a minute to make, and will keep for months in the freezer. Want to get as many blueberries into your system as possible? Juice them. This refreshing drink is packed full of antioxidants and it’s so delicious that you’ll drink it all in one go, before or after your workout. This is a show-stopping dessert that is deceptively easy to make. OK, so it’s still a dessert at the end of the day, but the blueberries give it a healthy boost!